If anyone has seen something like this, or knows the Mareh Makom, please tell me, because I've been searching for it, and I can't find it. תָּא חֲזֵי, כֵּיוָן דְּאִתְיְילִיד נֹחַ חָמָא עוֹבָדֵיהוֹן דִּבְנֵי נָשָׁא דְּאִנּוּן חָטָאן קַמֵּי קוּדְשָׁא בְּרִיךְ הוּא, וְהֲוָה גָּנִיז גַּרְמֵיהּ וְאִשְׁתְּדָּל בְּפוּלְחָנָא דְּמָארֵיהּ. בְּגִין דְּלֹא לְמֵהַךְ בְּאוֹרְחַיְיהוּ. וְכִי תֹּאמַר בַּמָּה אִשְׁתַּדַּל. בְּהַהוּא סִפְרָא דְאָדָם וְסִפְרָא דְּחֲנוֹךְ וְהֲוָה אִשְׁתַּדַּל בְּהוּ לְמִפְלַח לְמָרֵיהּ. Rough translation: Come and see, once Noach saw the actions of the people that they were sinning in front of HaShem, he hid himself and was toiling in service of HaShem, in order to not go in their ways. And if you'll ask, what was he toiling in? In the sefer (book) of Adam and the sefer of Chanoch, and he was toiling in it to serve his master. The texts which Noach learned from were what he received from his ancestors. There are remnants from three seforim which we still have today. They are 1) Sefer Raziel HaMalach also called Sefer Toldot Adam and Sifra d'Adam Kadmah which was given to Adam after the sin of the Tree of Knowledge of Tov and Ra by the angel, Raziel. It was through this sefer that human beings were taught the avodah of Teshuvah. This sefer also has teachings about Tumah and Tahara. 2) Sefer Chanoch from Chanoch ben Yered, the father of Methuselah. It is often bound together with Pirkei Heichalot of Rabbi Yishmael HaKohen Gadol because many of the teachings Rabbi Yishmael recorded, he received directly from Metatron (Chanoch after he has been appointed leader of the Angels). Like Eliyahu HaNavi, Chanoch did not die in the normal sense of the word, but ascended alive. His material, physical body was sloughed off to reveal only his angelic body. He assumed the role of being the leader of all Angels and took on the name of Metatron, Sar HaPanim (מטטרון שר הפנים). This angel was known to all nations and was the source behind Batya giving Moshe Rabbeinu his name. It is the Rosh Teivot of Metatron Sar HaPanim, who appeared and spoke when Batya looked into the basket that was taken from the Nile. Batya recognized this angel and declared, 'Moshe' (Metatron Sar HaPanim). 3) Sefer Noach which contains Noach's chiddushim to Sefer Raziel which he learned during his time on the Ark. Noach studied the Torah. Rashi derives this from the fact that Noach knew that he needed to bring seven kosher animals and two non-kosher animals. How else did Noach know which animals were kosher and which weren't? "Of all the tahor animals: that are destined to be tahor for Israel. We learn [from here] that Noach studied the Torah." הטהורה CLEAN—It means those cattle which will in future be permitted to Israel as clean; we thus learn that Noah studied the Torah. Not the answer you're looking for? 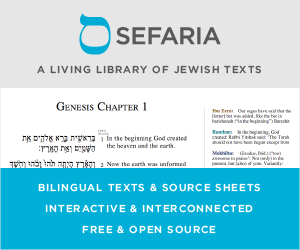 Browse other questions tagged sources-mekorot commentaries parashat-noach . Where did the Assyrian language originate from according to Chazzal?